While I've been laid up all week with a nasty cold I have been listening to the beautiful voices of Libera. Simply divine. The boys aged 7 to 16 who make up the vocal band Libera have been described as “normal” and “ordinary”. However, as their recordings and performances demonstrate, the music they produce is truly extraordinary. With shimmering, mystical chords and ecstatic harmonies, they are unlike any other group you have ever heard. These are truly sounds to lift the soul. Celestial sounds for a new time. I wouldn't disagree with that. A perfect album for Christmas. Also if you are able to get there they are performing tonight at: St George's RC Cathedral, London. Here's another link to a youtube preview of the Christmas album. I don't have the nerve to press on that youtube link, sounds scary to me! They sound good, bet they will be sensational with the acoustics in the cathederal! Hope you feel better soon Mo. Please don't pass on any virii via the pc thanks! Oh Mo, you have given us a wonderful recommendation. Such wonderful voices. I think my favorite was Carol of the Bells. They do it so magically. Hope you are feeling better very soon and are back out there with your camera in hand. «Louis» hopes this finds you recovering from that cold! He is heading straightaway to YouTube to see if he can find music by this group! thank you for suggesting this. i previewed the christmas album, bought it right away, and am listening as i write this. just beautiful!!! I didn't pass that bug on to you!!! 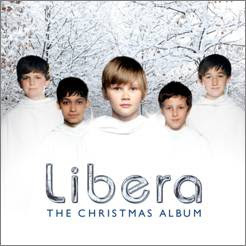 If there has to be Christmas music let it be Libera all the time. Fantastic - thanks for pointing the way. Get better soon.